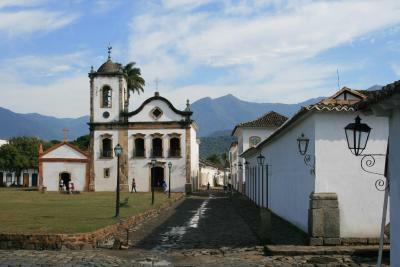 Lock in a great price for Pousada Arte Urquijo – rated 9.1 by recent guests! The breakfast was a delight and the pool was a great addition. My friend and I stayed in the first floor rooms, with the balcony and hammock, which was beautiful! The service was great - the staff were very friendly and looked after us! Great location, clean, cute - only a little bit small with narrow stairs. But overall, loved it! Place was beautiful, elegant, with great quality from towels to linens etc. 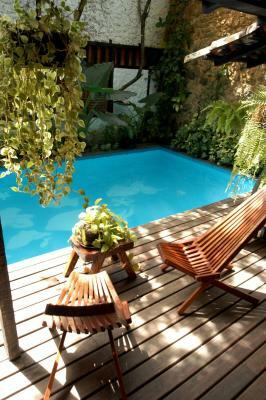 This was the first ‘Pousada’ we stayed at in Brazil and it set the standard for everywhere else we stayed. Service and cleanliness superb. The breakfasts are amazing - try the Tapioca Pancake! We loved cake & coffee in the salon in the late afternoons. The location is perfect! Very quaint in the historic centre, but quiet and extremely safe. I was happy to go out jogging on my own from our Pousada. Cery attentive staff, nice afternoon tea, very neat hotel. Manager was very nice to allow us to leave earlier than booked. The bed was comfortable, loved their quality sheet/linne to bed also bathrobes. Swimming pool are great as well. Very cosy place, and welcoming staff on all levels. Clean! The pool area was very nice and a great place to hang out with a caipirinha. Good location. Excellent setting and service!! The owners are very nice and helpful people. The decoration of the place is unique!! Lovely accommodation in a beautiful historic house. Staff really friendly and welcoming. Nice breakfast. Style entirely to my taste. Didn't matter that it rained the whole time. Delightful staff. Great artwork by the owner. Everything was great. All the staff were super nice. What amazed me the most was the cleanliness of the property - was the cleanest place I've ever stayed. The location is definitely excepcional. And breakfast is very good. 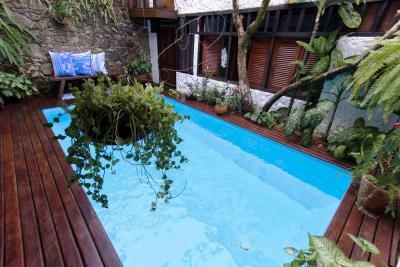 One of our top picks in Paraty.Offering a pool and winter garden, Arte Urquijo is in Paraty´s historical center, next to Santa Rita Church and the waterfront. It has a terrace with hammocks and a library. Free Wi-Fi is available in all areas. 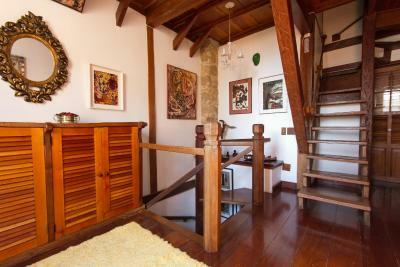 Decorated with local artwork and wood, all rooms are located on the second and third floors, and are only accessible by stairs. Each has air conditioning, a mini-bar, safety deposit box and a private bathroom with a hairdryer. The breakfast buffet includes a variety of fresh fruit and juices, and there is also a bar for drinks. Afterwards, guests can relax in the cozy lounge. Some activities offered include city tours, boat tours, horseback riding, diving and more. The Arte Urquijo is located 300 feet from Casa da Cultura and 2,950 feet from the local Bus Stop. 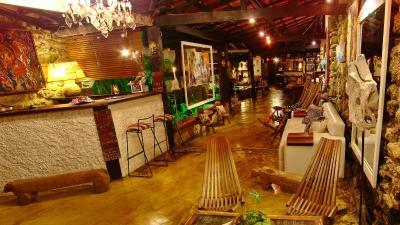 뀐 Located in the real heart of Paraty, this property has an excellent location score of 9.6! 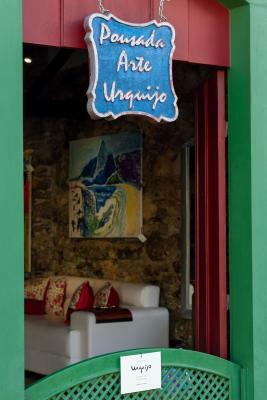 When would you like to stay at Pousada Arte Urquijo? Boasting a décor with wood touches, this room features an LCD TV with cable channels and DVD player. Located on the first floor, the room overlooks the old town rooftops and the mountains. Boasting a balcony with sea views and a hammock, this air-conditioned room features a TV, mini-bar and private bathroom with a hot shower. Accessible only by stairs. This double room, located on the upper floor and accessible only by stairs comes with a stylish décor referring to a traditional Japanese house. With a sloped roof and a Japanese-style futon mattress, this rooms comes with a mini-bar. Featuring views of the Paraty Wharf, this compact air-conditioned suite offers cable TV and mini-bar. An private bathroom with shower and hairdryer is offered. This room is located on an upper floor, with sloped ceiling, and is accessible only by stairs. House Rules Pousada Arte Urquijo takes special requests – add in the next step! Pousada Arte Urquijo accepts these cards and reserves the right to temporarily hold an amount prior to arrival. The size of the room was not only just incredibly small but we could not stand up in half of the room. We were constantly hitting our heads. The room is described as sea view, however you have to get on your hands and knees to look out a small window to see the sea. The price was extremely high compared to the quality of places we stayed else where in Brazil over 3 weeks. This place we would say was definitely not worth the money. But, it was definitely not worth the price and the check out experience was terrible. The staff did not know how to use the credit card machine and could not charge me on time and I almost missed my bus. The location was great and the place was quaint. Bathroom was too small and I’m a small person. Tall people should avoid the top floor as there are lots of low bits to knock your head on! The room was too small, i’m 1,6m and could not fit properly on the bath box and sit on the toilet seat, we were always bumping our heads. Breakfast could be better, with more options of fruits. DVD movies were available, but none would play in the DVD player. Too expensive for what it offers, no place to rest and enjoy the hotel while raining. So homely, adorable place, staff are very friendly and the rooms are so cute. Feels like you're staying with a family friend.